Hi friends! I like creating shaped cards! 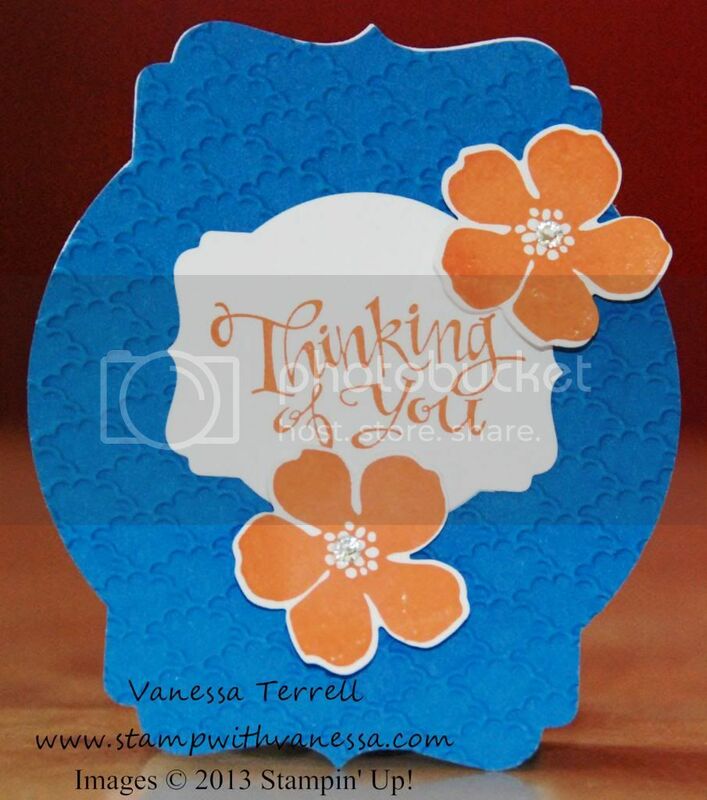 Today I created a shaped card using the new Deco Labels Collection Framelits! I had so much fun creating this card! I also used the Sassy Salutations stamp set and used some brights colors to finish off the card! I couldn't resist adding some texture...so I used the Fancy Fan TIEF. Here's the finished card.